Now, just to clarify: There are a lot of “Big Bang Theory” fans here at the NNA, and Sheldon — the eccentric, irascible Caltech physicist and part-time Notary played by Jim Parsons — is one of our favorite characters. 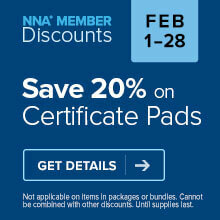 Sheldon seems well-prepared when it comes to his Notary tools. In the episode “The Flaming Spittoon Acquisition,” while preparing to notarize a document, he has his stamp, his journal of notarial acts and an ink pad for fingerprinting the signer ready. As a California Notary, it’s good to see Sheldon knows he’s required keep a journal of his acts. Unfortunately, Sheldon also makes a major mistake in the same episode. He’s notarizing girlfriend Amy’s signature on a document in which he also is named — a clear conflict of interest! Sheldon also makes an ethical error in the episode “The Wiggly Finger Catalyst” when he lets slip that he knows how wealthy his friend Raj is because he’s notarized financial documents for him. Protecting a signer’s privacy is an important part of a Notary’s duties — even when talking among friends. 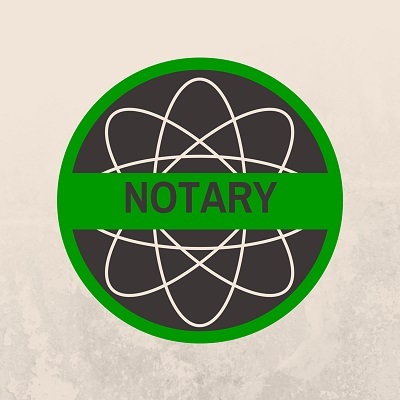 We’re sure Sheldon made these mistakes unintentionally, but as many of our readers can attest, even unintentional mistakes can get a Notary into hot water. We hope he doesn’t make any other errors on the show that will result in state Notary officials finding out and calling “Bazinga!” on him. Sheldon’s pretty good at surfing the Internet, so maybe he can pick up information on California Notary practices at the Secretary of State’s office or download and read a copy of The Notary Public Code of Professional Responsibility. Great catch! I noticed those two items too! Good thing it is only pretend. I am a big fan of Big Bang Theory and I can't believe I haven't seen an episode where Sheldon is a notary. Good article David! Yep ... I caught those mistakes as well. This was very exciting to read as The Big Bang Theory is my fav. Great job drawing in the reader. Very good and funny article. Actually, I think his mistakes are a VERY accurate reflection of the way in which many real-life notaries (and the general public) do not take the office and duties of notary public as seriously as we believe they should. Let's face it; most people just think of it as a technicality of just stamping a document for ten dollars. In everyday business, people are focused on making ends meet, and ethical questions like apparent conflicts of interest don't even occur to them at all, unless their employers have drilled such things into them as specific rules. And I would guess that many notaries just consider themselves as a notary "for their company" because their company paid for their commission, and they don't really think about the notarial office vis-a-vis the public trust. Unfortunate, but true.